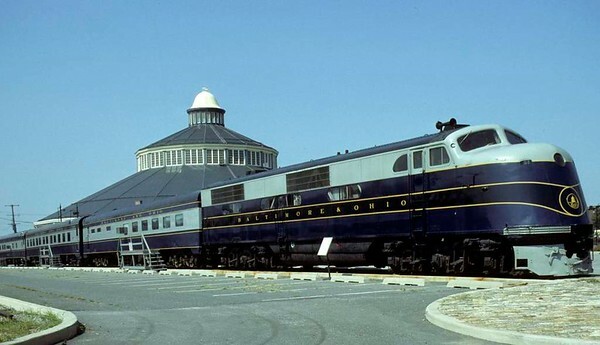 Baltimore & Ohio RR 51, Baltimore & Ohio Railroad Museum, Baltimore, Maryland, August 1979. The first EA type 1800hp A1A-A1A diesel-electric built by Electro-Motive in 1937. Over 1000 E units followed. Only the body of the 51 survives. Photo by Les Tindall.